NEW DELHI: With polymer makers facing a slump in demand and pressure on margins, the Department of Chemicals and Petrochemicals under the Ministry of Chemicals and Fertilzers has sought five per cent import duty exemption on naphtha, used in making the chemical compounds stating that the import duty had added to the cost of production of companies like Haldia Petrochemicals, Reliance Industries and Indian Oil Corporation despite a dip in polymer prices. 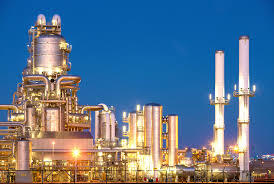 Official sources said the Government had already exempted power and fertilizer units from payment of import duty on naphtha and the Department of Chemicals and Petrochemicals last month made a representation for the same dispensation for the feedstock used for making polymers. Companies like HPL and RIL crack naphtha to make polymers, the base compound used for making plastics that find usage in several sectors, including automobiles and white goods sectors. In the last fiscal, the country’s total polymer imports stood at Rs. 5,000 crore. With a slowdown in automobile sales, polymer manufacturers have taken a substantial beating with prices more than halving to Rs. 40,000 a tonne. The prices, however, have rebounded to over Rs. 55,000 a tonne but are still not considered lucrative for the petrochemical industry to use naphtha as feedstock. Companies like GAIL (India), which use natural gas as feedstock, get better margins on polymers. The Department of Chemicals and Petrochemical has stated that the import duty on naphtha was posing serious difficulties for domestic manufacturers.